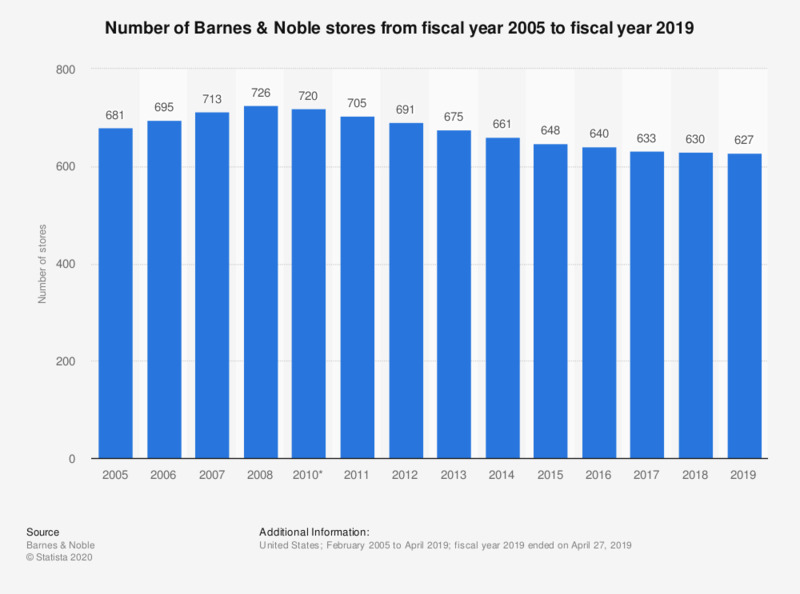 This statistic shows the number of Barnes & Noble stores open in each fiscal year from 2005 to 2018. In the fiscal year 2011, Barnes & Noble, Inc. operated 705 stores. In the last measured fiscal year, Barnes & Noble had 630 stores in the United States. FY 2008 February 3, 2009 January 21, 2009. Fiscal year before 2009 all ended on or around 31 of January. The figures forthe period 2005 to 2011 come from previous annual reports.